Replacing Acosta as vice president and joining the Local 47 executive board for the first time is veteran studio musician Rick Baptist. 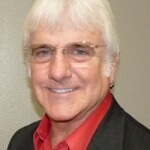 Gary Lasley will serve a third term as secretary/treasurer. 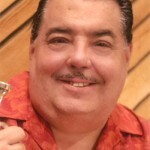 Acosta succeeds Vince Trombetta, who has been president of the Los Angeles musicians union since 2009. All three titled officers ran unopposed in the Local 47 general election held on Dec. 9. During his three terms as vice president, Acosta has played an active role in strengthening the union’s organizing efforts with live-performing musicians and studio musicians who work in film and television. He was instrumental in signing “The Ellen DeGeneres Show” onto an AFM union contract, and in increasing the incentive for music scoring to the recently passed AB 1839 California film and television tax credit legislation. Acosta has significantly boosted the musicians union’s visibility by forging relationships with Mayor Garcetti and other top officials at City Hall, and continues to build and foster alliances with other labor organizations including SAG-AFTRA, Directors Guild of America, Teamsters, and Writers Guild of America West. Most recently, he has extended outreach to the Latin community with efforts to organize mariachi musicians in East Los Angeles. 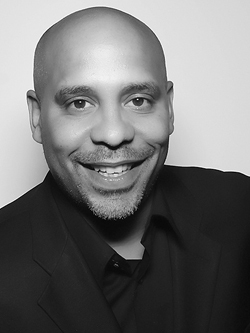 Being of Afro-Cuban and Puerto Rican descent, Acosta will be the first multi-ethnic leader of Local 47. At 42, he is also one of the youngest in the Los Angeles musicians union’s history ever elected to the office of president. He began his career with the musicians union in 2002, bringing with him decades of experience in the music industry. At 17 he left his hometown of the Bronx for the indie rock scene in Los Angeles, where as John “Coz” Acosta he played guitar and worked as producer and songwriter with various artists, including experimental alternative rock group Forest For the Trees. Starting at Local 47 as a business representative, he went on to serve as administrator of the Electronic Media Division for three years before taking office as vice president in 2009. Acosta was recently elected as the newest vice president of the Los Angeles County Federation of Labor, sits on the board of directors of the Western Council of The Actors Fund, and chairs the Diversity Committee of the American Federation of Musicians of the United States and Canada. 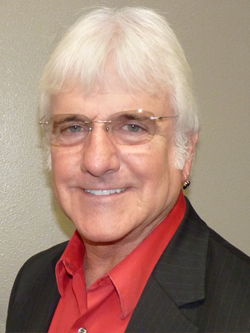 Incoming vice president Rick Baptist joined the AFM at age 12 as an aspiring session musician. Now a renowned trumpet player known around the world, he moved to Los Angeles in 1980 and has performed on more than 1,300 motion picture soundtrack scores, including Pixar’s “The Incredibles” and the studio’s upcoming “Inside Out.” He served as first trumpet on the Academy Awards show for 30 years, the Emmys for nearly three decades, and has performed with major recording artists such as Frank Sinatra, Barbra Streisand, Josh Groban, and Michael Bublé. Gary Lasley, who first joined the Local 47 executive board as director in 2005, returns for a third term as secretary/treasurer. 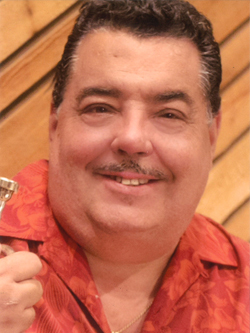 An accomplished bass player, Lasley performed with the Hollywood Bowl Orchestra for 20 years and has played on the soundtracks of many familiar motion pictures. For 10 years he served on the executive board of the musicians union’s Regional Orchestra Players Association. The newly elected titled officers and executive board members take office Jan. 12, 2015. Judy Chilnick, Dylan Hart and Bonnie Janofsky will serve as trustees. Pam Gates, John Lofton, Andy Malloy, Phil O’Connor, Bill Reichenbach and Vivian Wolf will serve as directors. About AFM Local 47 – Local 47 is a labor organization formed by and for musicians over a century ago that promotes and protects the concerns of musicians in all areas of the music business. Local 47 is affiliated with the American Federation of Musicians of the United States and Canada, the largest organization in the world representing the interests of 85,000 professional musicians.